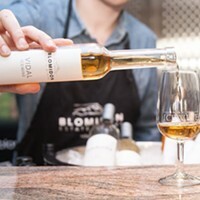 Against the odds and the unquestionable negatives, global warming has had a positive affect on the wine industry. “It’s allowing us to grow varieties that we couldn’t grow 15 years ago,” says Warner. 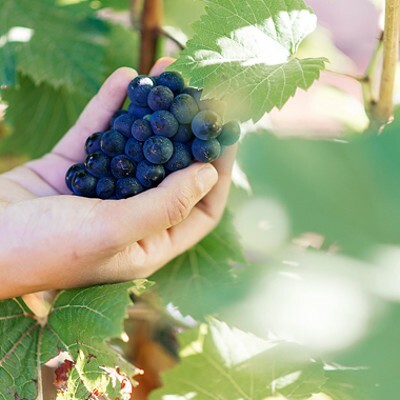 This is just one of the many things that have changed since the Warners started their vineyard. Warner Vineyards is a family-run operation. 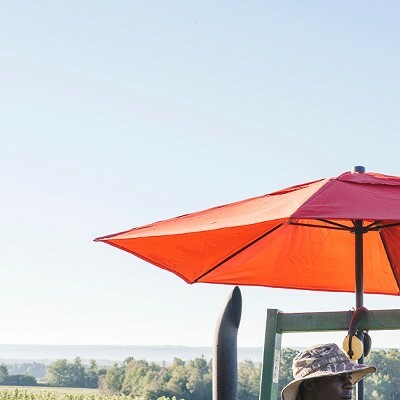 John Warner’s parents, Jim and Edie Warner, purchased the farm property in 1990, eventually passing down the day-to-day management of the operation to their son and his wife, Anne. 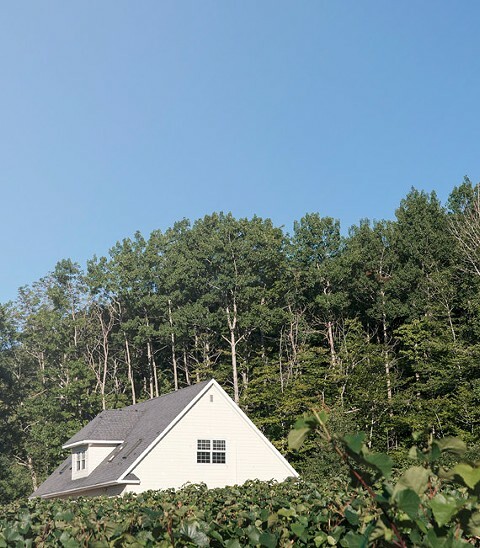 They started with just three acres, adding another three each year for the past 25 years. 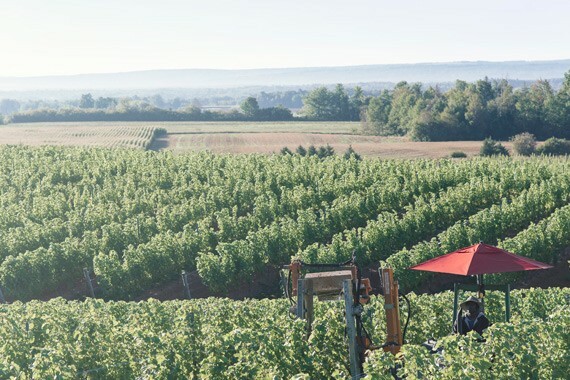 Now Warner Vineyards is the largest independent grower in the province. 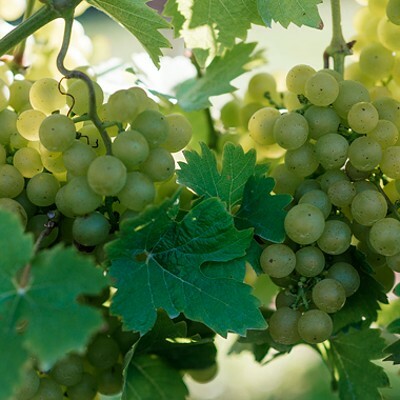 Nova Scotia boasts over 800 acres of vines, and almost one in 10 acres of grapes are on the Warner farm. 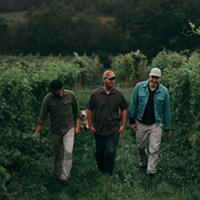 If you’ve had Nova Scotia wine, chances are you’ve tasted their grapes: They sell to wineries like Jost, Gaspereau, Grand Pré, Avondale and Benjamin Bridge. 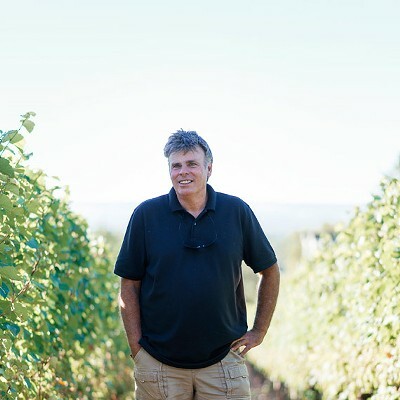 What sets Warner apart from the major growers in the province is the fact that he isn’t connected to one specific winery. As an independent grower, he is helping to build a more general infrastructure that supports the growth of the entire industry. “John just knows his stuff,” she says. “He figures out what’s right for his land, he asks people’s opinions, he is well read and researches. It’s great to work with someone else who is passionate about wine; it makes things easier. 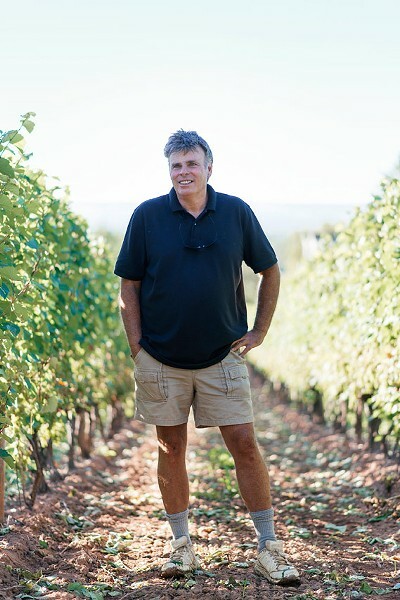 He wants his product to be as perfect I do.” Warner has enjoyed seeing the massive growth of wineries like Gaspereau, Jost, and Benjamin Bridge. "They see expansion in their future, which is very encouraging from a grower’s perspective.” Also encouraging is the government’s ongoing promotion of and investment in the industry. 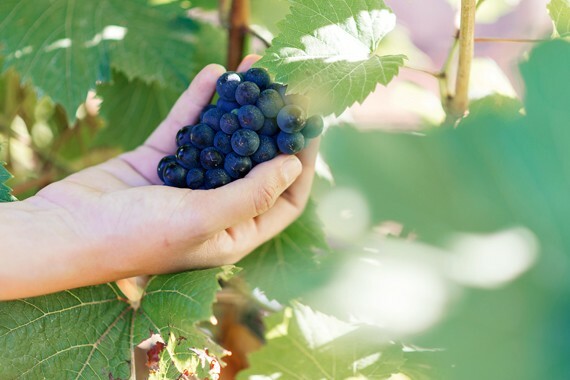 Last year, premier Stephen McNeil announced the $1 million Vineyard Development and Expansion Program, a funding program that aims to assist small growers, with the intent of doubling the province’s grape acreage over a five-year period. “All of this stimulates and promotes the growth of the industry as a team, which is very important,” he says. 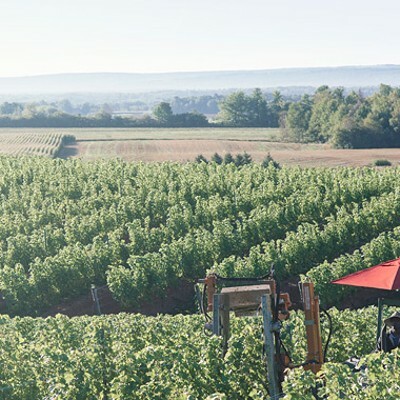 The Warner vineyard sits at the leafy base of the North Mountain in the Annapolis Valley, just outside of Kentville. 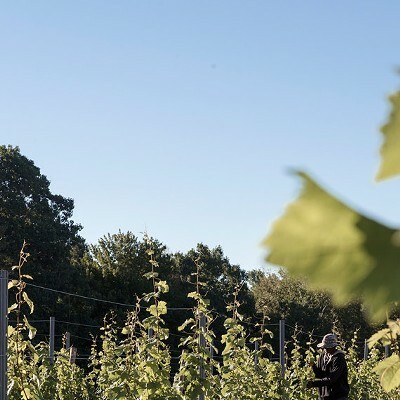 The vines stretch out—not just for metres, but kilometres—shooting out in loose lines, filed into prim phalanxes that, from above, are laid out with Spartan precision. There’s anarchy close up, though, as bundles of grapes dangle at the bottoms of the trellises where the leaves have been pried off, giving the sun warm permission to beat down and coax the berries into dusty yellows, translucent greens and bruised purples. 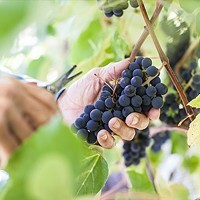 Walking around the vineyard, Warner gestures, coffee cup in hand, to the different types of grapes. “You can see the little clusters there. Any clusters that are low like that, the pheasants will come in. 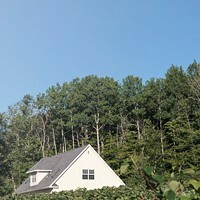 That’s why we generally trellis them a little bit higher,” he says. He points out the flattened grass around the perimeter of the fields, behind a short electrical fence that sits like a trip wire in a Rambo movie, primed to keep fat-bellied raccoons out. It turns out that as much as raccoons like to climb into garbage cans, they won’t hop fences. 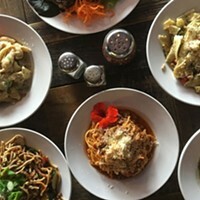 Port Williams pasta maker Ross Patterson celebrates the abundance of good food around him with The Noodle Guy. 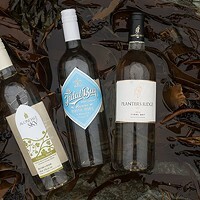 Standout bottles from the latest vintage of Nova Scotia’s signature wine style.